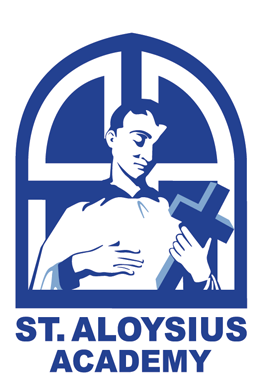 The cultivation of a personal faith life is at the center of the daily life of a student at St. Aloysius Academy. The Academy has statues and other religious artifacts on display in its classrooms, hallways and throughout the campus. Each day begins with a moment of spiritual reflection at Morning Assembly and a prayerful remembrance of Academy families and benefactors. Homeroom time begins and ends with a prayer each day. Students learn formal prayers like the Rosary while personal spontaneous prayer is nurtured as a lifelong habit. Grace before and after meals and praying the Angelus, a traditional prayer that honors the IHM Sisters legacy, provides a mid-day prayer opportunity. Our school chapel offers students a quiet, sacred space with time for personal prayer and class visits to the Blessed Sacrament weekly. 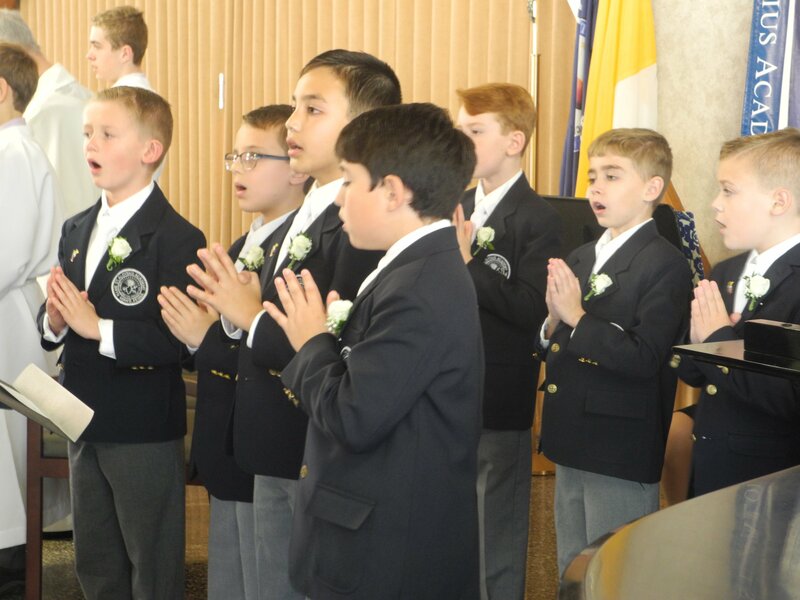 Several times during the year, students participate in school community Masses, prayer services and the celebration of the seasons of Advent, Lent and Easter. Preparation for the Sacraments of Reconciliation (Grade 2), Holy Eucharist (Grade 3) and Confirmation (Grade 6-7) receives priority attention. The Academy’s Religion curriculum has a spiral framework that incorporates learning the foundational concepts of our Faith and the challenges of an active faith life, including Catholic social teaching.